Welcome to your new world of water sports. 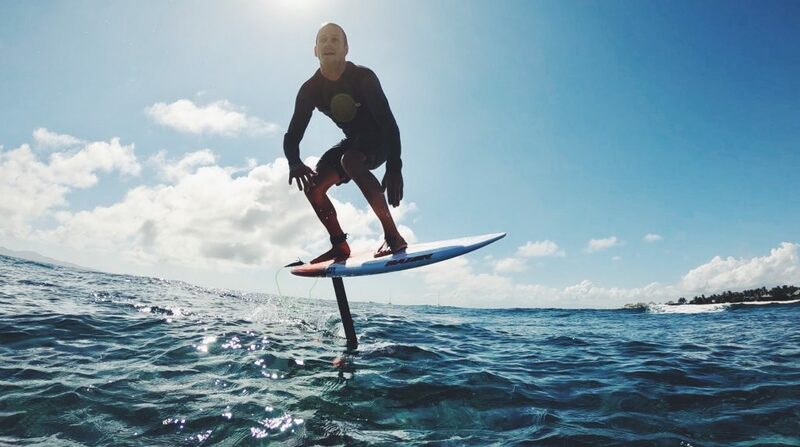 Foil boarding or Foiling is sweeping the world as one of the most new and innovative ways to paddle, ride or sail any water sport. Here at Kite and SUP we have been riding and teaching Kiteboard Foiling for several years, we are also well experienced in the surf foil market with local shapers and surf coaches helping provide information and feed back. We have the most experienced riders and staff in Newcastle plus the biggest range of brands and equipment so we can get you on the right gear as comfortable and easy as you like. We are also working with Stuey Martin Surfboards and can run boat foil lessons. Sports, well we currently are catering and have gear coming or available for the following sports from the following brands. Kiteboard Foilboarding, with brands such as Naish, Duotone, Slingshot, Cabrinha, Liquid Force, Konrad, KFA. Windsurf Foilboarding, with brands such as Naish, Fanatic, Slingshot, Neil Pryde. Stand Up Paddleboarding Surf/ Downwind Foilboarding, with Brands such as Naish, Fanatic, Slingshot, AXIS, Moses, JP, NP and More. Surf Foilboarding, with brands such as Naish, AXIS, Slingshot, MOSES, JP, NP, Fanatic and more. Wake Foilboarding, with brands such as Naish, Slingshot and Liquid Force. We also have used foils traded in for sale as well. New foil Prices start at $900. New foil and board package prices from $1800. $90 for 1.5hrs of one on one tuition. $40 for a surf or sup surf fun demo, advisory session 30-50mins on the water. Location will be subject to the conditions on the day and the sport in question. We have a variety of brands we can teach with and you are welcome to choose your preference or change between them during the lesson to find your personal preference for what works for you. We do not hire or free demo any of our foils. As for what you will learn in a lesson it comes down to you as an individual. You need to be at a reasonable level in your chosen sport to be able to learn to foil. If you can’t surf you won’t be able to foil surf. You have to learn to walk before you can run and jump. For Foil lessons behind a boat please contact Stuey Martin Surfboards.